Transport Package: Plastic Film, Cotton. Color Red ,Blue ,Blue ,Green ,Purple ,yellow ,etc . Materials 1) Plastic pieces: imported engineering plastic, intermingle with anti-ultraviolet radiation, antistatic and anti-discolor element, strong intension, smooth surface, safe atmosphere protection, good climate resistance, difficult to fade. Proceed on the mould oven machine under temperature 260 degree. Temperature acceptable: -20 degree to 80 degree. 2) Galvanize tube: used diameter 60 millimeter international standard steel tube, wall thickness 3 mm after the whole machining, de-rust, acid-washing, galvanized with special craft, the surface will be tackled with plastic powder by sprinkling twice, high temperature solidify, smooth surface, anti-UV, anti-rust, anti-fade, anti-crack, bright color, and durable. Proceed on the mould oven machine under temperature 205 degree. Temperature acceptable: -20 degree to 100 degree. 3) Soft Deck: Wood and sponge and PVC. 4) Fastener: The fasteners are stainless steel screw to connect and add the rubber mat between fastener and pipe. Besides, we increase fastening screw to improve its safety. 5) The rope net and trampoline parts adopt the mooring rope of sail vessel, the diameter is 16 millimeter. The inside part is stainless steel wireÂ Â covered with rubber pipe. 6) Wooden part: use imported Indonesia camp horwood , which is texture crisscross, uniform structure, high density. After drying, it passed production and machining then especially tackle with fireproof and antisepsis at least three times. Good stability and climate resistance. The shadow connecting part put use steel to link to increase the safety and working life. It is natural, environmental protection. Color and luster be exquisite gorgeous. The whole feels colorful, entertaining, safety. All materials are non-toxic, anti-crack, anti-rust, anti-corrosion, durable, surface wrapped by sponge and PVC, keep kids playing in safely, free from harm. 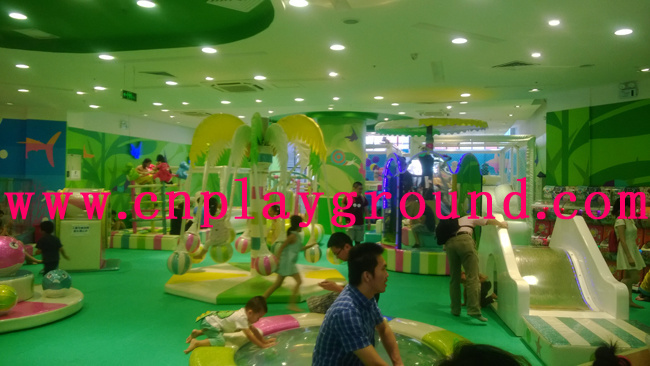 applied range School playground, kindergarten playground, amusement park, public park, housing land, construction company, residential area, shopping mall, family back yard, etc.. Packing: Cotton fabric & plastic films . (seaworthy standard export packing). Group teams: production & related depts., Research & Design dept. Engineering dept., Domestic sales, Overseas sales, customer service, Financial dept.,Â Human source & Administrative dept. etc. SGS, CE, EN1176, EN1171, EN1177, Rosh, SASO, etc. Guangdong Province Famous Brand, etc. A1: Our MOQ is 1pc or 1 set per item no., total amount no less than US$5000/order. Q2: How about your price and how much discount I can get? A: Our price is most the fair and reasonable in the market compare with the same quality products; Our principle is large quantity and the most competitive price, the price we offer is already manufacture price, please confirm the order and quantity first, we will try our best to satisfy you. Q3: Have you exported to our countries or other countries? A3: We have been in this business for more than 30 years,Â our products are widely export to more than 120 countries and regions, all over the world except Antarctic. Q4: Can you make the design for your equipment? A4: Sure. Our R&D design department will can design for you according to your project size and you demands specially. Q5: How long is the warranty time for your equipment? For other small play games and small equipment, we provide 6 months warranty. for example, crack of plastic accessories, color fading and damage of the iron parts etc. The buyer should inform the seller within 14 days after finding the quality problems. And the buyer should provide the same quality and new accessories free within 30 days. Q6: Do you have any certificate for your product? A6: Sure. We have WSCT (World Standardization Certification and Testing), CE, GS/TUV, EN1171,EN1176, EN1177; IOS9001:2008, ISO14001:2004, OHSAS18001:2007, and more than 30 honors and certificates from our national standard organizations. Q7: Could we install your equipment ourselves? A1: Yes, many customers installed it themselves,Â we will provide professional detailed installation drawing and instructions. WHY CHOOSE HAPPY ISLAND-CHILDHOOD DREAM? 1.The factory attracts customers from more than 120 countries. And customers purchase frequently and their business began flourishing since they placed orders with happy island-Childhood dream. 2. The factory provides high quality product, with reasonable price, humanity and attractive design which passed the tests and obtained certificates from international standard organizations. 3. 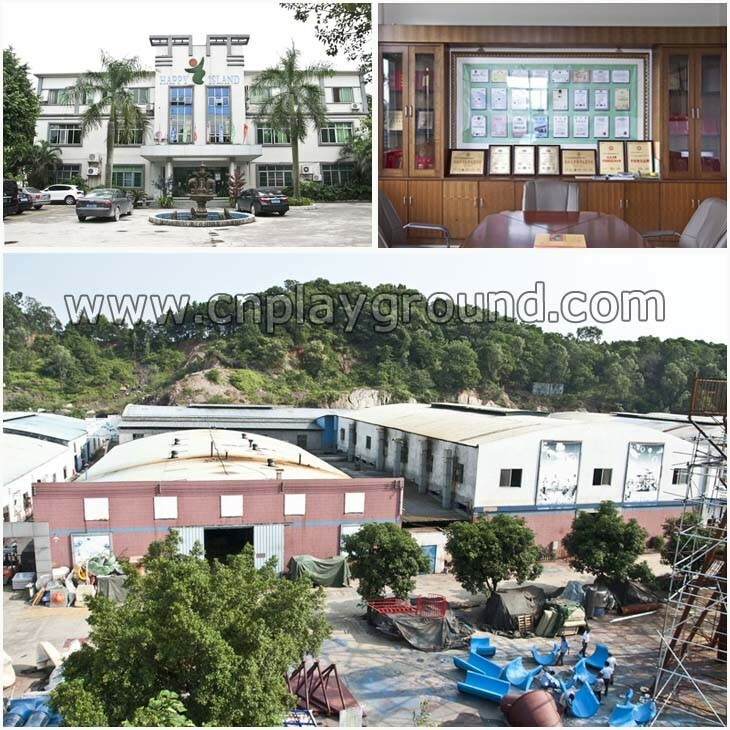 It is a factory more than 30-years specialized in playground equipment and amusement park facilities, in the more than 30 years it is keeping improving and moving forward, now has been one of leading enterprises in entertainment and amusement industrials. 4. Successful cases from dozens of countries game cities. 5. Professional team offers technical support. 6. Professional all-around after-sale service. 7. 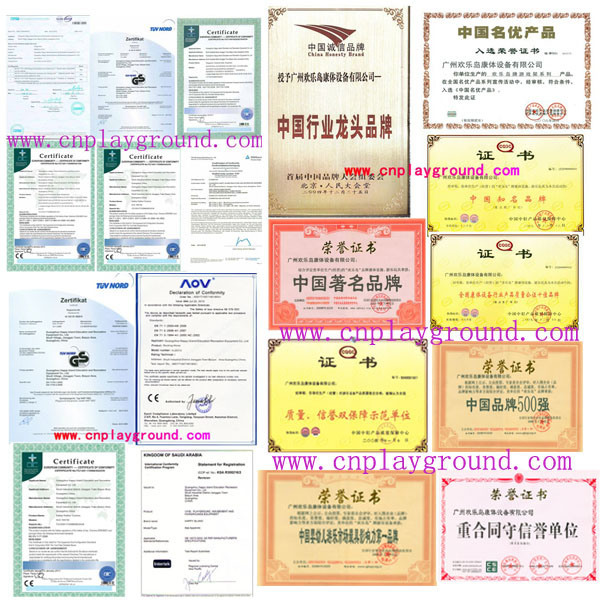 All our products passed the international industrials necessary certificates. 8. Our technicians go to different countries to help customers solve problems of their game city. 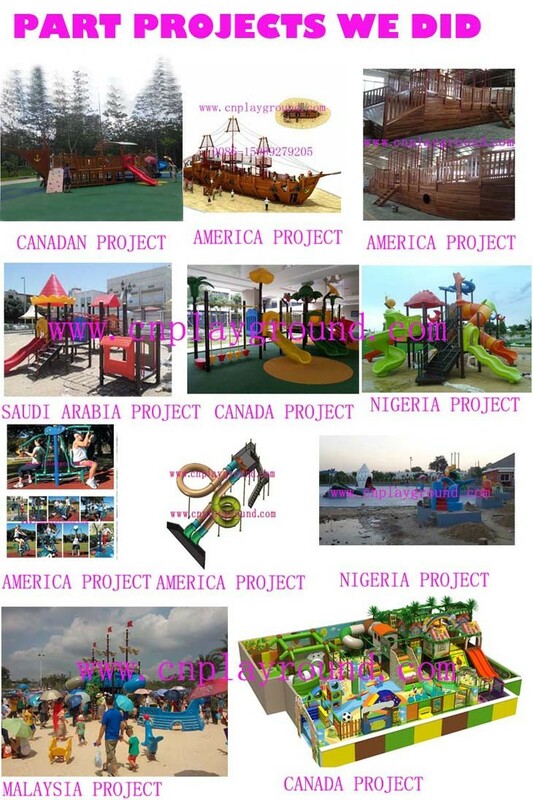 We believe our amusement park equipment, outdoor playground, indoor playground, outdoor exercise equipment, water park slide, pre-school furniture and so on equipment are with the high quality and quite competitive prices on our line. Customers will free from worrying and bothering of credit and quality of this company products. 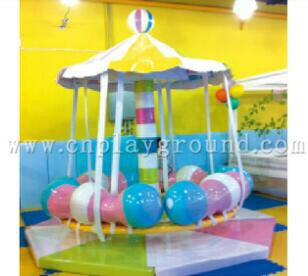 Spring LiÂ INDOOR SOFT CAROUSEL PLAYGROUND.